Any technique by which a subject in an image is separated from the background or the rest of the image is called Background Removal. Background of an image is removed for a wide range of uses as it gets easy to mix and match the image that is cut out with any desired background. Photoshop professionals use a number of techniques to make this happen according to the background type, colour, and uniformity of the backdrop and complexity of the subject. Photoshop has an array of tools available for background removal but all of them can’t be used alike to serve the same purpose. 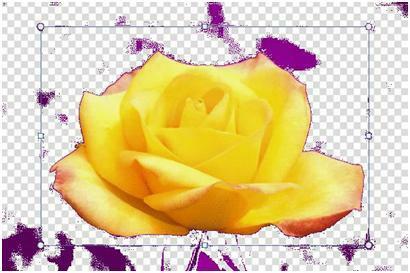 The simple eraser tool, lasso tool, magic wand tool and many other tools that can erase or help separating different colors in an image or draw borders are normally used for background removal. Using appropriate tools that will do well with different types of images is what that takes to be a good graphic designer. Any kind of designing will need an image that is free of background to achieve maximum effect; this is one of the most important reasons for separating a subject from a distracting backdrop. If you are running an online business, a retail shop or any business that gets you to work with models and images of products that has to be enhanced, the first thing that comes to your table is removal of background. A Photoshop expert will work with the pen tool to crop out the subject carefully by considering even the finest details like hair and fur. Imagine an interesting photograph in a dull background… A good product with attractive looks may not seem attractive for your buyers if the image is not processed well. We call processing images for commercial reasons as digital makeup. Whether it is an object or a model showcasing a product, the quality of the image has to be picture perfect. A flaw less product image has all possibilities to make an easy sale. You might explain about your product in detail but without a good image, it is next to impossible to make a sale. Images may not be clicked with perfect backdrop so it is important to rework on the images to make them suit the sales pitch or any reason for which they are been used. Other than this, image colour correction is also an aspect to consider. A product image which is perfectly worked by a Photoshop professional is sure to bring in good business and good impression to the business.